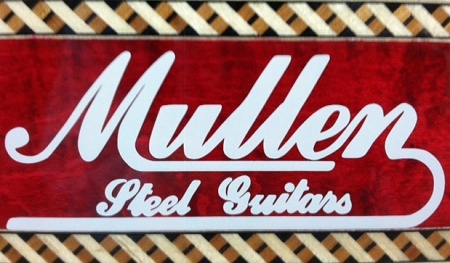 Order a custom made Mullen Pedal Steel Guitar from us! Call me and I can get a quote on this exact model or any variation you want. This steel has 8 floors and 8 knees, Custom setup, polished wide knees, 705 pickups, and can be setup the way you want. Different pickup choice? Just giving you an example of the fine craftsmanship at Mullen Guitar Company. Please call me and I will get you an approximate delivery time on a custom lacquer G2 or any other custom Mullen you can come up with. $500 down starts an order from Mullen right here. I am authorized stocking dealer for Mullen Guitar Co. Delivery times have come down and so I can get you a guitar sooner than you might think. $500 non-refundable deposit on all orders placed through my dealership. 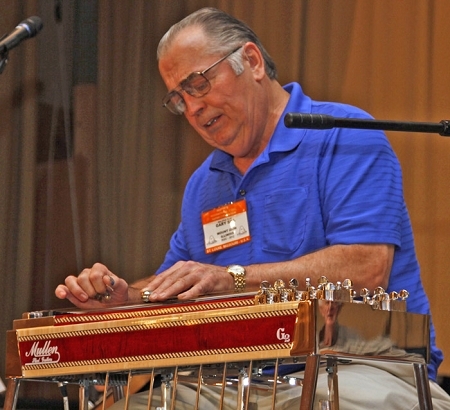 "Well Gary, I've owned a lot of instruments over six decades but without a doubt this Mullen is the most meticulously contracted instrument I have had. Thanks for all the help during the purchase. If I can send a potential customer I will. I'm going to tune'er up and go!! It's worth every dollar!